In June of 2014. Dinuba Alta Post-19 took a huge undertaking and agreed to sponsor a nonprofit campaigning to purchase a SO% replica of the Vietnam Wall. 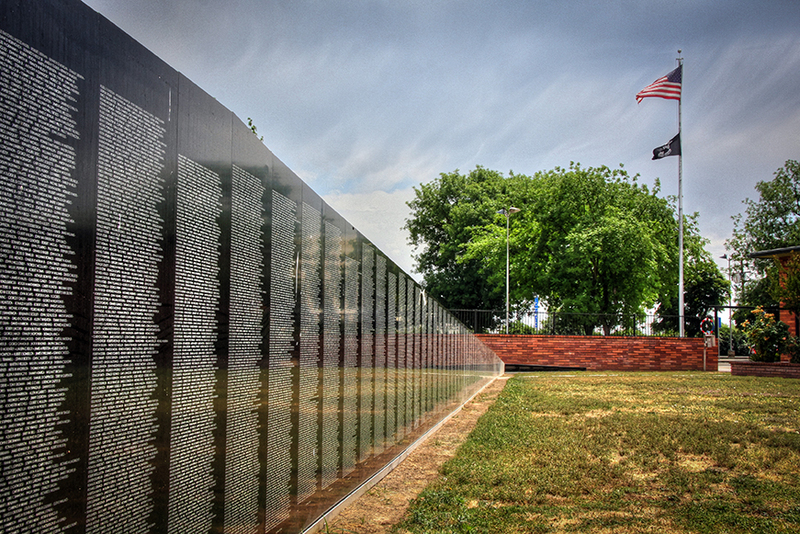 The Vietnam Wall Memorial Fund soon began. The first to get on board was The City of Dinuba which gave a donation pledge of $5,000. Since then the Vietnam Memorial Wall hos taken a life of its own. Soon after a contract was drawn between the moving wall out of Texas and the Dinuba American Legion Post-19. The replica of the Vietnam Wall arrived in Dinuba on April 19, 2015. On April 30, 2015 the wall was dedicated. which marked the 40th anniversary of the end of the Vietnam War. The wall The wall is located in the Dinuba Veterans Memorial Building.